It’s official! I’m proud to announce the publication of my first G.I. Joe Kindle Worlds novella. The piece, which is about 43,000 words long, was a real labor of love — I had a lot of fun playing in the sandbox that is the Joeverse. It was a bit of a thrill to pull together my ideas, pick characters and throw them together for a battle royale! Titled “G.I. 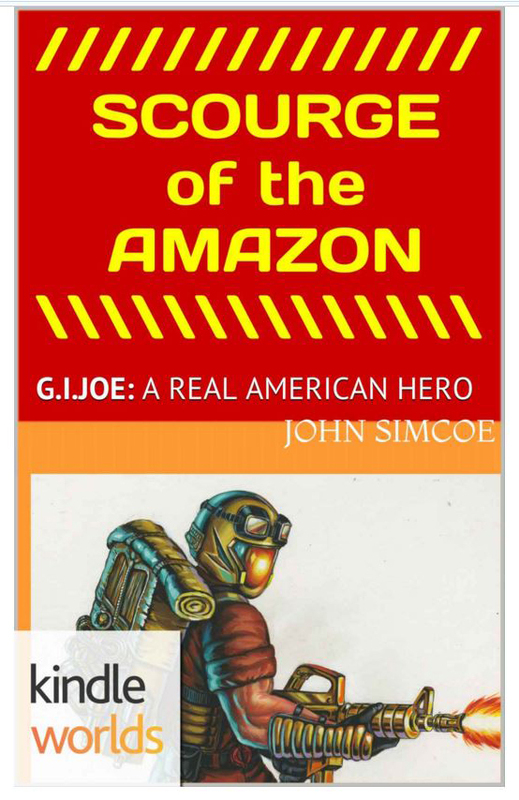 Joe: Scourge of the Amazon,” the story takes place in Manaus, Brazil, where a small squad of Joes goes on the hunt for a kidnap victim and the Cobras responsible. Along the way, they come across as odd of a collection of Cobras as I could assemble: Cobra de Aco, Scalpel, Frag-Vipers, Sea Slugs, Tele-Vipers and regular Cobra Blueshirts. Nope, no Cobra Commander, Destro or Zartan. There’s too many interesting bad guys in the Cobra ranks to stick to those three! That’s right — no heavy hitters! Forget Snake Eyes, Duke, Flint and Roadblock! I wanted a team that’s a little left of center, and I had fun throwing them against everything I could find. 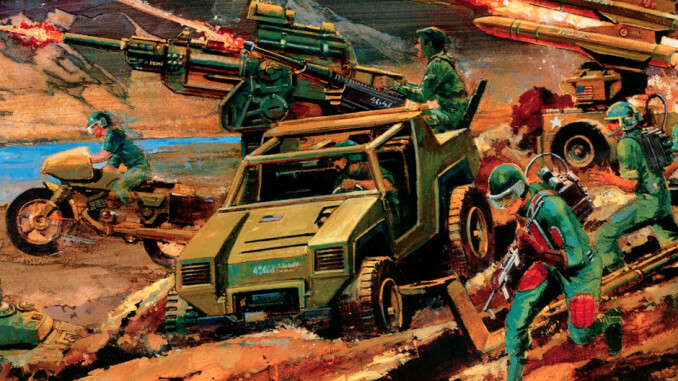 I’ve talked before about my love of Sgt. Flash, and the basic idea of this story was to bring together as many of the laser troopers as I could. As a result, Sgt. Flash was joined by Sci-Fi, and Grand Slam. That core group find themselves working against Cobra de Aco, a South American character who bears an uncanny resemblance to Flash and Slam. In the real world, Cobra de Aco was a figure produced for the South American market and he shares an action figure mold with those two original Joes. His head, however, uses the Commando-mask head that Snake Eyes started out with. By mixing the two figures, the South American producers had a truly unique character that has rarely been explored!